Work experience and volunteering can give you many opportunities to gain skills and experience that means you stand out to potential employers as well as helping you choose the right career path. You are also going to be equipped with certain soft skills such as team working, communication skills and problem solving; key skills that employers looks out for. You can also make new contacts that might help you find work in the future. The Education Business Partnership offers a work experience service to schools within Kingston and Richmond boroughs that are generally carried out in years 10 or 11. Ask your school if they offer a work experience programme but if not, click on the CVs and Interviews section for tips on creating a CV and writing a cover letter to employers. Duke of Edinburgh - Many schools offer access to the DofE and offers you excellent opportunities to work as a team, problem solve, communicate and be independent. National Citizenship Service - Are you 15 to 17 years-old? Don't miss your chance to do NCS! You'll live away from home, develop skills to boost your CV, and meet amazing people you'll never forget. What are you waiting for? Summer jobs are a great way to gain important skills that can help your future career. 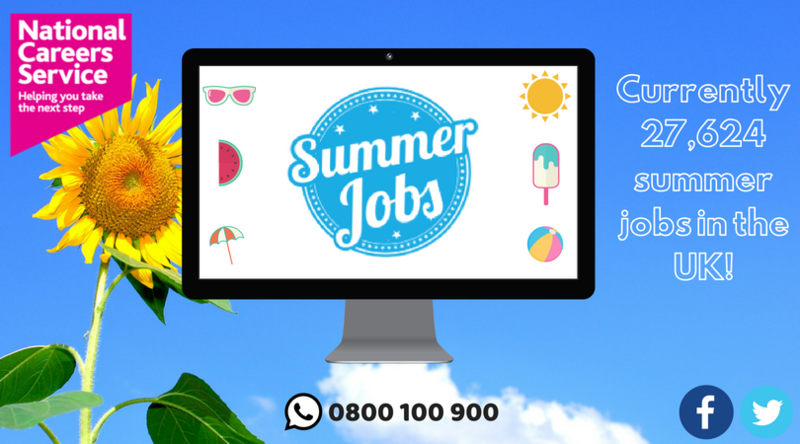 A new search tool on the National Career Service Find a Job website allows you to search specifically for summer or seasonal jobs.